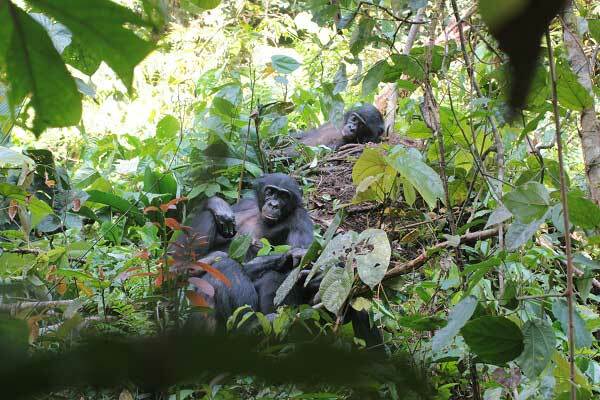 I stayed at Wamba, Luo Scientific Reserve for about 6 months and observed wild bonobos. P-group was my main study group. P-group seems to be consisted by 2 subgroups (P-east and P-east subgroup). I mainly observed P-east subgroup. Also, I made effort to habituate and identify P-west subgroup individuals. I conducted scan sampling observation method and recorded the behaviors and the distances of the individuals at 5 minutes intervals. When aggressive behavior was observed, I recorded the detail e. g. ) aggressor and victim's ID, the intensity of aggression. After that, I conducted focal observation of the victim for 10 minutes, and recorded all social activity. 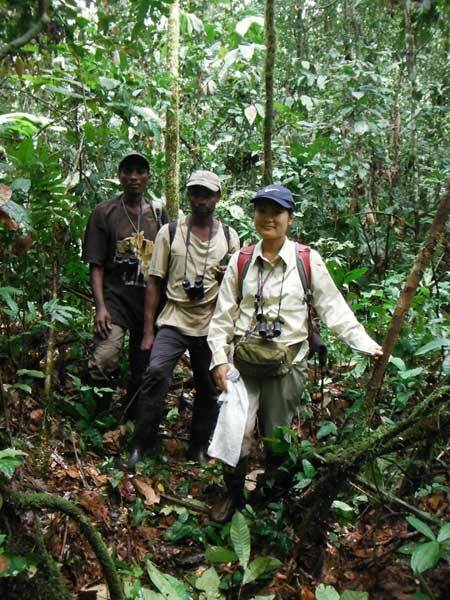 P-east subgroup often encountered with P-west subgroup, E1 group and E2 group. I recorded the social interaction between the subgroups and between the groups. When the aggressive behavior was observed, the victim's focal observation was conducted.